At Stattonrock Homes, we know that, as your family grows, there may come a time when you decide that you need more living space. If you want more living space but still want to remain in your current home, a home addition might be the ideal solution; however, before setting your heart on a new addition, here some things to consider before adding on. 1. Is There Enough Lot Space? 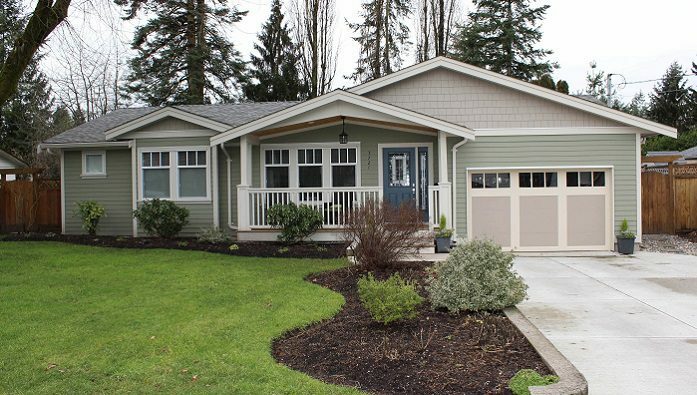 Lot size is often the determining factor for whether or not a new addition can be added to the ground floor of a home. If the house is on a smaller lot, a second storey or third storey addition might be the only way to add above-ground square footage; however, homes that have larger lot sizes can often be built on outwards without swallowing up the backyard. While some homes have larger lots sizes that can be built out on, not all properties are completely flat. Custom home building on a property that has a steep slope or different grades can be more complex and expensive than lots that are flat. 2. Will the Addition Enhance Your Home? When adding on to your home, it is important to consider how the overall custom home design will match or compliment the finishes of the original structure. If the house has certain elements that are hard to source, you may have to choose between finding finishes that complement the original exterior and replacing all of the existing exterior. These finishing touches also extend to doors and windows, which may need updating as well. Creating a seamless or complimentary exterior on the new addition can help enhance the original home and help increase the resale value. 3. How Much Landscaping Will You Need? Anytime you build out from your home, landscaping needs will need to be addressed, especially if there was extensive excavation work. Landscaping the yard around the new addition can include re-grading and re-sodding the property, adding hardscapes (rocks, walkways, stairs, decks, driveways, etc. ), and addressing softscapes (plants, trees, flowers, turf, etc.). This can be a great way to add the final touches for making the new addition look complete. Most homeowners, who are looking to complete a home addition, these days turn to the newer approach to custom home building: design and build services. With this approach, one company is responsible for the entire project from start to finish, including custom home design, obtaining zoning variances and building permits, and the construction. At Stattonrock Homes, we know that there is a better way to build your home. That is why we offer all-inclusive design and build services that take care of everything all the way from the initial custom home design phase to the completion of landscaping. All of our design and build services utilize construction software that is designed to keep the project organized, on time, and on budget, as well as to help us keep our clients up to date throughout the entire process. If you would like a complimentary consultation to discuss your home addition or renovation, please contact Stattonrock Homes at 604-624-0100 or via email.